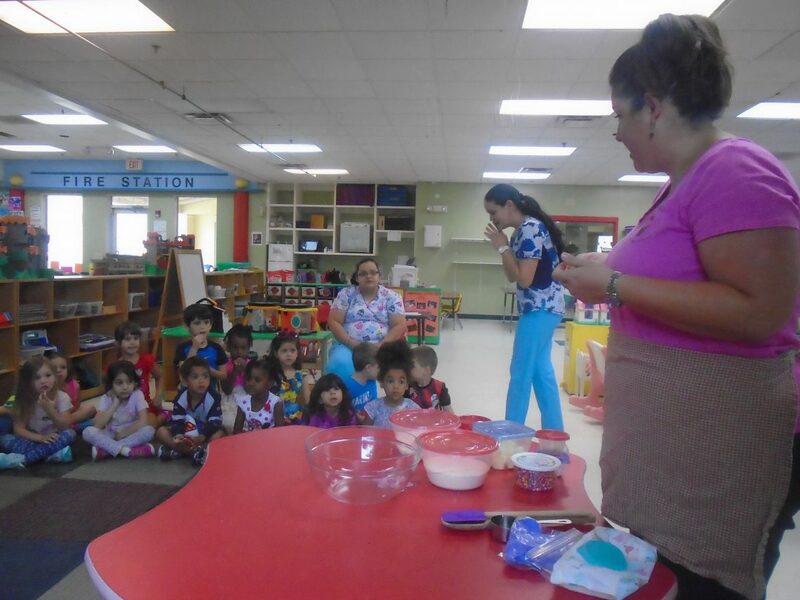 Kidstown Learning Center in Lake Worth uses the CREATIVE CURRICULUM published by Teaching Strategies, supplemented by the themes of the READY SET LEAP curriculum published by Leap Frog School house. These curriculums are implemented in each classroom through room organization, daily schedules and lesson plans. Activities are prepared according to the age group and the needs of each particular group of children fostering individual growth through opportunities for exploration. The daily schedule provides opportunities for large group activities, small group activities, free play, teacher directed activities, and children directed activities, outside play, meals and rest time. TV and video movies are not used on a regular basis. Teachers may use TV and video only if there is an opportunity for educational purposes to support curriculum implementation. The curriculum also reflects the influences of culture, family and community. Early literacy is supported through reading, dictation, learning letters and sounds and immersion in a print rich environment. The learning centers in the classroom encourage exploration and discovery, and we are always looking for bright new students to learn and grow along with us. Contact our learning center today to learn more about our daycare services and classroom programs.